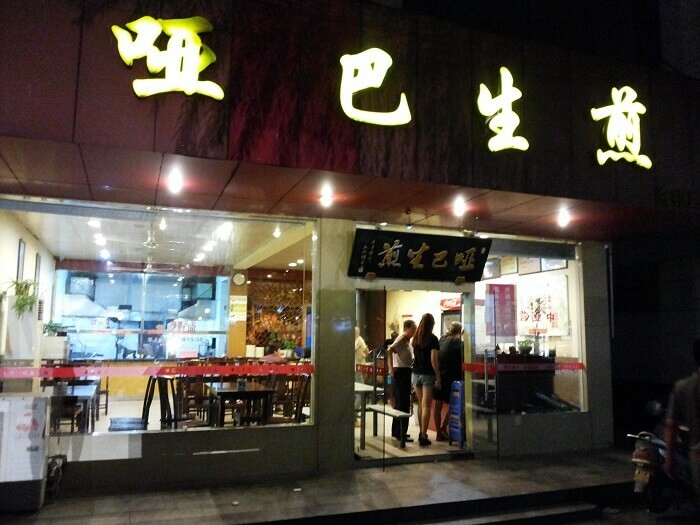 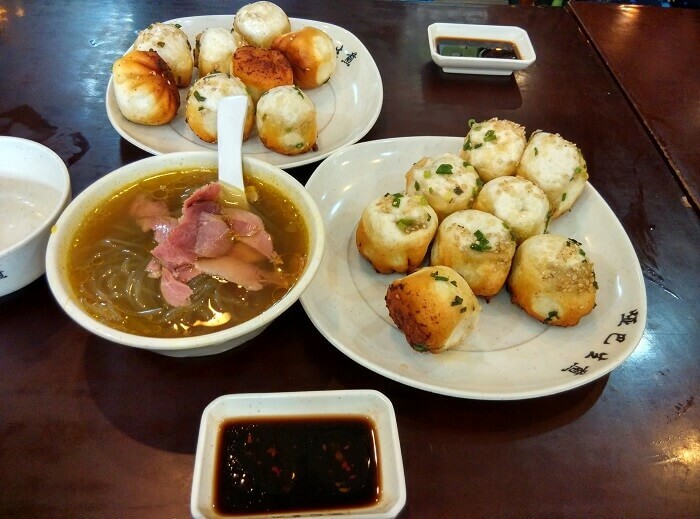 The dummy pan fried pork bun is a traditional featured snack in Jiangsu with a history of almost 70 years. 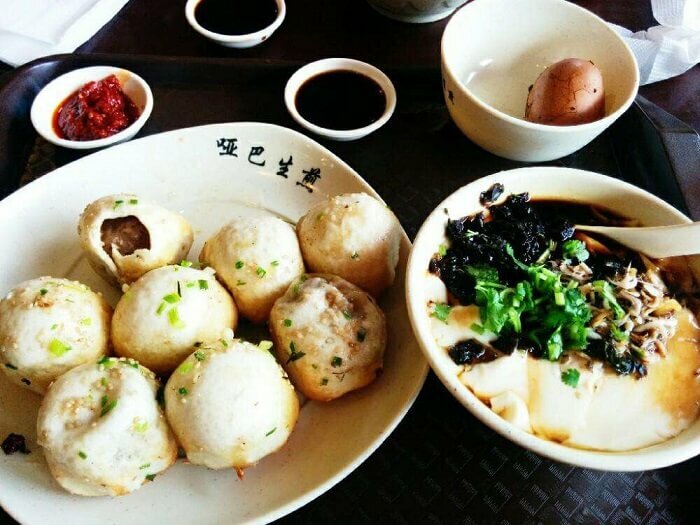 Suzhou people have no idea of steamed stuffed bun, and just as its name implies, the fried steamed bun is to fry the steamed bun without cooking. 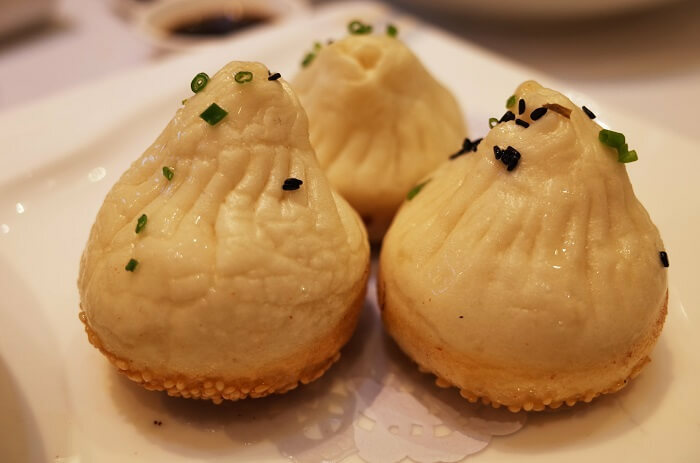 The originator of Suzhou “dummy pan fried pork bun” was Yu Eryuan who lost the ability of speaking as a result of disease at the age of 9. 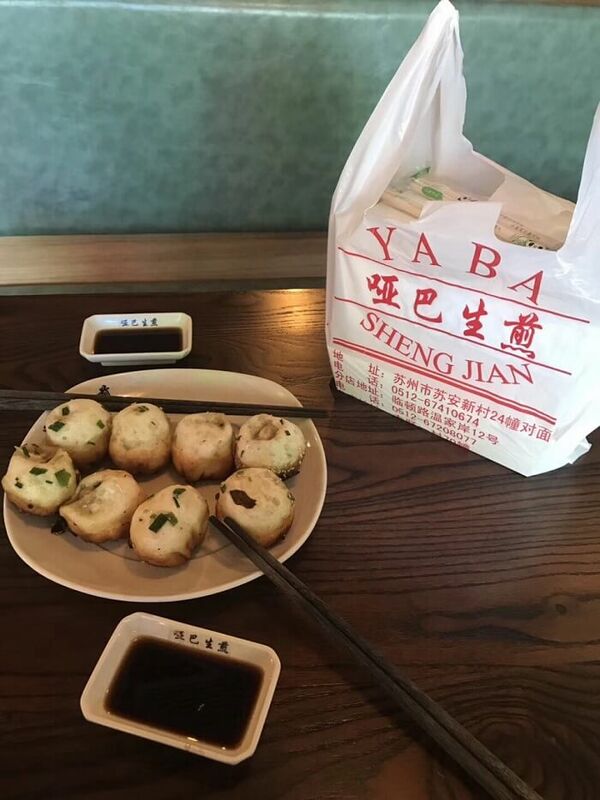 When he was 13, he was sent to a snack shop as a trainee during which he mastered the secret prescription for stuffing: be sure to put some pork skin jelly into the chopped meat; he was deaf and dummy and free from disturb from the outside, he was very concentrated when frying buns, mastered the duration and degree of heating and cooking very well, so the bun he fried was specially delicious, and “the dummy pan fried pork bun” got famous as time passed.